Most of the asset management companies have embraced the concept of Target Date Funds. Just what are these? The simple answer is in what the name implies; at some specified future date (say 2030) that coincides with when a saver believes he or she will likely retire, their investment savings will be available for them. More important is what it is NOT. A Target Date Fund does not carry any guarantee that the investment account will have earned a desirable rate of return or even that the ending amount will be more than the actual dollars saved. This can be confusing for some 401k savers who mistakenly see this as a simple solution to choosing the “best” options for them in their 401k plan. A Target Date Fund does not relieve the saver from the responsibility of watching over their investment decisions. 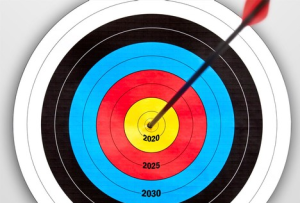 A Target Date Fund attempts to manage the overall fund risk during the lifetime of the investment and adjust the risk level within the fund as it approaches its “Target Date”. For example, when you are young and retirement is 20 years in the future, the fund may have a more growth oriented investment profile. 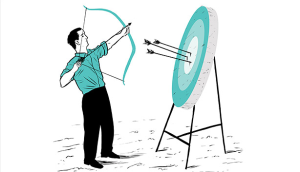 As time passes in say 15 years, your “Target” is now only five years away, therefore the overall portfolio risk may now be less focused on growth and instead more focused on principle preservation. This is done by most of us as we get older and realize we will not be able to work as much, relying on our savings more. After all, isn’t that the whole reason for saving to a 401k in the first place? Evidently the “New” is actually very much like the old, in fact we have had various “Fund of Fund” options with similar objectives for nearly 20 years. Before that we were doing our own portfolio allocation and “rebalancing” as we saved and grew closer to retirement. In effect we have always been responsible for our own 401k portfolio and that is a good thing. While the industry has rushed to create more of these options, they are not “new” at all, but are marketed as such and they do sell well since they sound appealing. Many of these will probably work out well, but don’t confuse “Target Date” with “Target Guarantee”! What had been lacking in the industry was good information, options and tools. Today the 401k world has come a long way and with technology most of us have access to good reliable information and tools. Hopefully your company has designed a plan with good options from which to choose. Regardless, it’s still YOUR MONEY and your responsibility, so why not try 401k-Checkup? It just may help you “Do Better”!